Brief Coaching for Lasting Solutions - Description | W. W. Norton & Company Ltd.
Perhaps more so than in any other situation, coaching allows practitioners to quickly forge collaborative relationships with their clients and help them maximize their performance in work and in life. 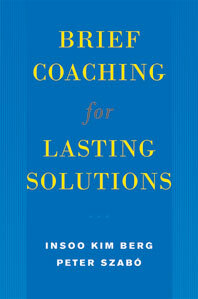 Brief Coaching for Lasting Solutions teaches coaches how to conduct conversations that are most useful to clients in achieving their goals within a brief period of time. 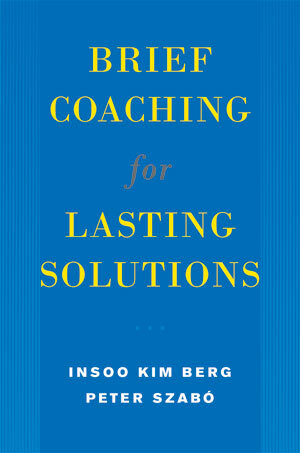 The authors, two of the leading practitioners of the brief coaching method, masterfully guide readers through the steps of this process–from the initial meeting to follow-up sessions to troubleshooting setbacks–while illustrating essential skills with ample case examples.This book is written for coaches who want to reduce the time it takes to provide effective coaching while making the best use possible of resources the client brings to the table. At the same time it is written for the benefit of today’s clients, so many of whom want to avoid coaching that is time-intensive and costly, and instead seek coaching that is organized, efficient, and affordable.Whether your clients seek a solution to a specific problem or strive toward a more general life goal, this invaluable resource will put you on the path to brief coaching success.